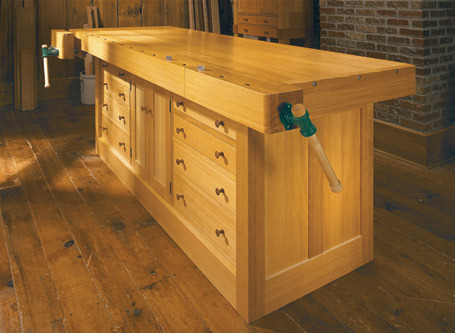 This workbench has it all — classic looks, plenty of storage, plus a top and vises able to handle the most demanding tasks. 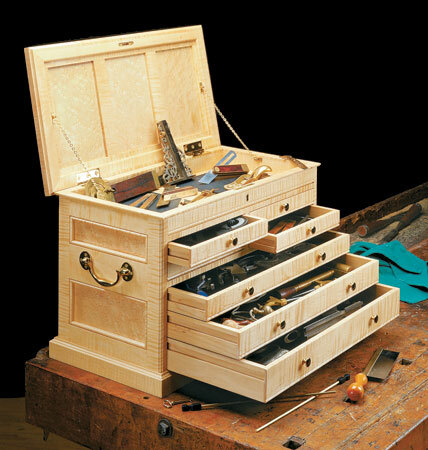 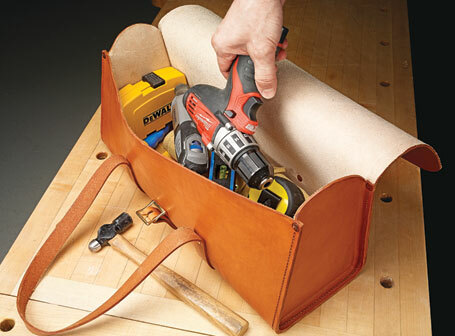 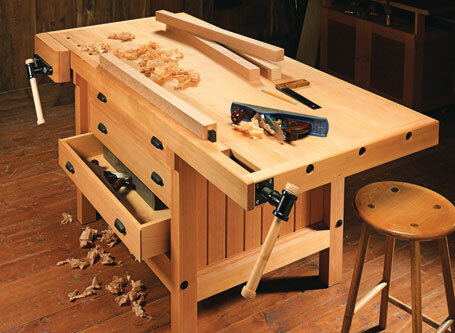 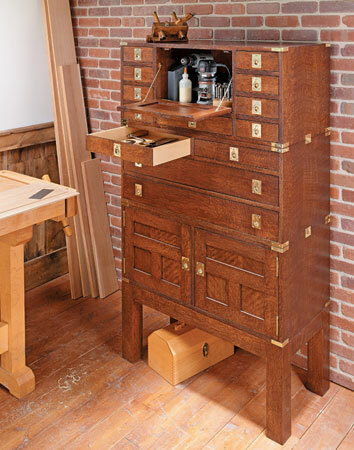 This heavy-duty workbench provides a place to hone your woodworking skills for years to come. 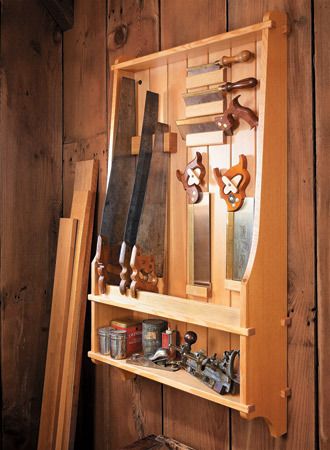 Modular design and straightforward plywood construction make building this cabinet surprisingly quick. 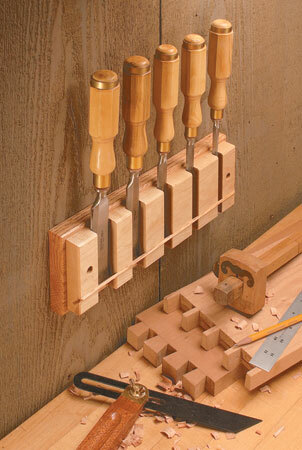 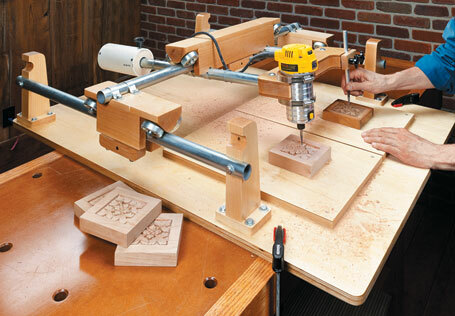 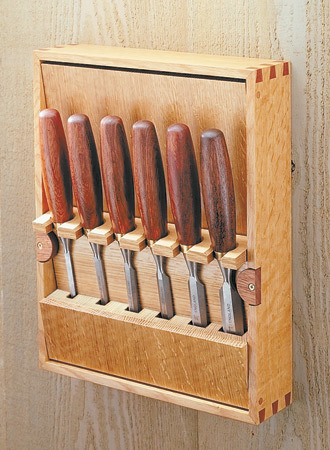 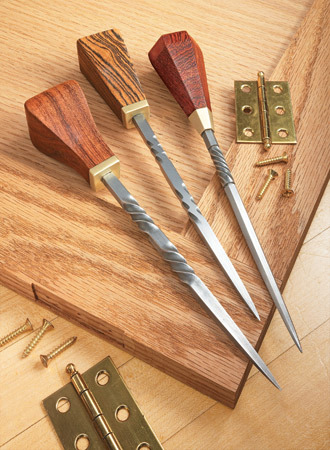 Recreating almost any pattern or carving with your router is easy with this shop-built fixture. 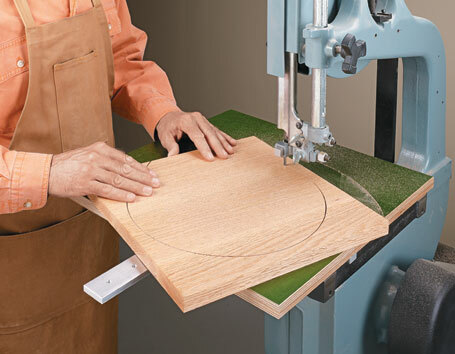 With this jig you can cut perfect circles quickly and reliably on the band saw. 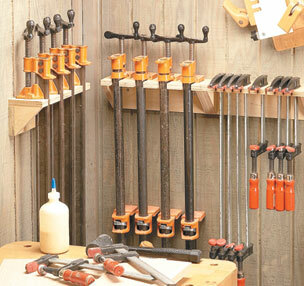 Ordinary steel bar stock, a propane torch, and a few hours are all you need to created a handy layout tool.